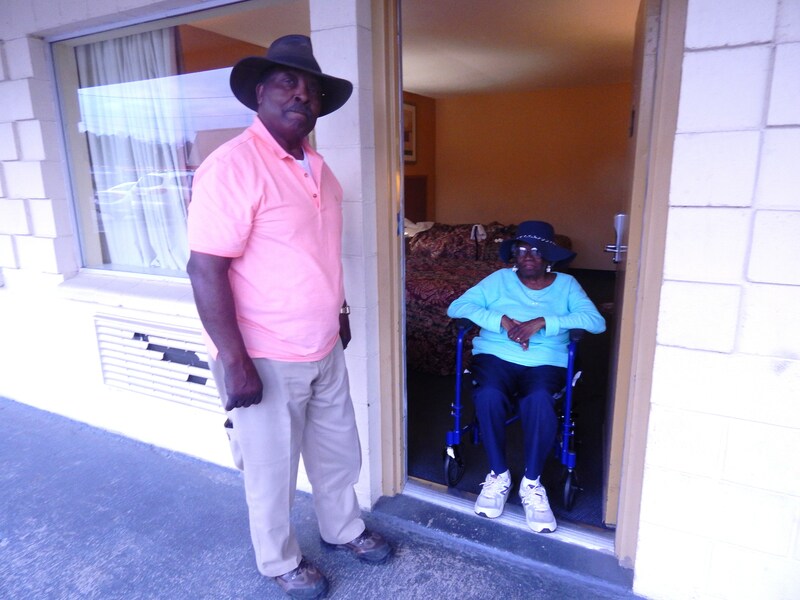 On Wednesday, January 20, 2016 Eddie Wise and his wife Dorothy were forcefully driven out of the home and land where they had lived and farmed for over 20 years. At 7:30 in the morning, when Dorothy, who suffers from a debilitating medical condition, was still in bed, several county sheriff officers and at least fourteen Federal Marshals in full military gear with guns drawn descended on the farm and forced them to leave. Community members, family-farm supporters, and racial justice advocates around the country believe that this is not a simple case of financial downfall leading to sad, but inevitable loss. Rather, it is the culmination of racist characterization, unjust farm finance practices, and a corrupt legal system. The alternative food movement has worked successfully over recent years to bring issues of ecological sustainability, chemical contamination, and even labor practices into the public discourse, but there are still sides of our food and agricultural system that remain deeply unjust. This is particularly true regarding access to land and other food production resources. A fair food system can only be created when people have equal opportunity to produce their own food or participate in food and agricultural economies. But currently, land prices in both rural and urban areas are continuously increasing, fueled by speculation, agricultural consolidation, gentrification and energy projects. New entry and young farmers have few opportunities for accessing land, and even landholding, multi-generational farmers are being squeezed out. African-American, Indigenous and other people of color, who share a history of forced migration and land theft, feel their dispossession being magnified by ongoing structural racism. African-American, Indigenous and other people of color, who share a history of forced migration and land theft, feel their dispossession being magnified by ongoing structural racism. Structural racism has followed the Wises, who are African-American, since they first set out to start their farm. Eddie is a fourth-generation hog farmer, but he spent over two decades serving in the military and as an ROTC instructor at Howard and Georgetown Universities. In his spare time he raised hogs and he hoped he would one day be able to return home to farm in North Carolina. Though Dorothy grew up in Washington, DC, she also dreamt of living on a farm. When the couple met at Howard University in the 1980s, they believed that their collectively-held dream could eventually come true. Even though Eddie comes from a farming family, he did not have any land to return home to. His father and grandfather were both sharecroppers. African-Americans once owned 16 million acres of farmland in the U.S., but after decades of racist United States Department of Agriculture (USDA) policies and lending practices, this number has dwindled to less than 1 million acres. In 1993, it looked like Eddie had found his opportunity. A 106-acre farm was for sale in Nash County, NC. Although the Farm Services Agency (FSA) loan officer Eddie was working with to put together an application did not tell the couple, this very piece of land had been “earmarked for minority farmers.” Legally, this should have given them special consideration for obtaining it. However, a white farmer, who also wanted the farm, paid a Black woman to apply for him, and almost succeeded: the application process came down to a draw from a hat. Though the Wises won the draw, it took them until 1996 to actually secure the loans they needed to purchase the land and start their business. For no legitimate reasons that they could discern, they were repeatedly turned down. It took significant work, research, and self-advocacy to obtain the financial resources that the couple rightfully qualified for. Nonetheless, they were eventually able to build a successful farm with 250 hogs, which they raised without hormones or antibiotics from birth, sold to a black-owned pork processor in the area, and sold at a premium in area supermarkets. Thus, their farm was building local economic networks and resiliency, supplying a healthier alternative to conventional pork to area residents, and helping to set an example of ways family farms can carve out niche markets. According to reports, Eddie Wise was recently in the process of negotiating and working out the terms of a loan he held with the FSA. Then, two new agents, Paula F. Nicholls and Mike Huskie, took over the case. In only a month, his debt total increased by $60,000. The Wises could not afford their unreasonably large payments, and the foreclosure process escalated to the unexpected eviction. 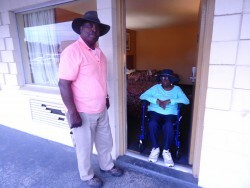 Eddie and Dorothy Wise at the hotel where they are now living. Courtesy of Gary R. Grant, President of the Black Farmers and Agriculturalists Association. An event like this is not only tragic and unjust for those involved, it raises concerns about security and access for family farmers and Black farmers around the country. It calls into question the actions of both federal and local government representatives, whose job it should be to help farmers keep and successfully work their land, not force them to leave it. To sign the petition to demand a full investigation and help return the Wise’s farm, please click here. To donate to a campaign to support the Wises, click here. Justine Williams is a researcher at Food First and a PhD candidate in Anthropology at the University of North Carolina at Chapel Hill. She is co-editor, with Food First Executive Director Eric Holt-Giménez, of the forthcoming book Land Justice: Re-imagining Land, Food and the Commons in the United States. Pete Daniel, Dispossession: Discrimination Against African American Farmers in the Age of Civil Rights (Chapel Hill: University of North Carolina Press, 2013); Anuradha Mittal and Joan Powell, “The Last Plantation” Backgrounder (Oakland: Food First/Institute for Food and Development Policy, Winter 2000); John Powell, “Poverty and Race Through a Belongingness Lens,” Policy Matters, Volume 1 Issue 5 (Northwest Area Foundation, April 2012). Center for Documentary Studies, Op. Cit. Black Farmers and Agriculturalists Association, Op. Cit.